May 25, 2010 - Muhammad Abu Tahir, age 47, of Glen Allen, Virginia, was sentenced on Monday by U.S. District Court Judge Robert E. Blackburn to serve three months in federal prison for one count of interference with a flight crew, United States Attorney David Gaouette and FBI Special Agent in Charge James Davis announced. Tahir was also ordered to pay restitution totaling $14,584.00 to AirTran. Following his incarceration, Tahir was ordered to serve three years of supervised release. The defendant appeared at the hearing on Monday free on bond. He was order to report to a facility designated by the Bureau of Prisons, and to pay for the transportation to that facility. Muhammad Abu Tahir was first charged by Criminal Complaint on January 11, 2010. 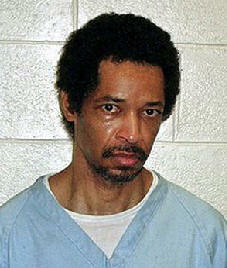 He was indicted by a federal grand jury in Denver on January 27, 2010. Tahir then was charged by Information on March 12, 2010. He pled guilty to the Information before Judge Blackburn also on March 12, 2010. Tahir was sentenced on Monday May 21, 2010. According to the Information, as well as the stipulated facts contained in the plea agreement, on January 8, 2010, Tahir was a passenger on AirTran Airways flight 39 from Atlanta, Georgia to San Francisco, California. While in flight the defendant became upset with a flight attendant who refused to give him more wine. The defendant yelled at flight attendants, and then went into the lavatory. After a period of time, a flight attendant knocked on the door of the lavatory asking the defendant to finish up so other passengers could use the lavatory. The defendant refused to leave the lavatory and again yelled at the flight attendant that she was disrespecting him. Sometime later the flight attendant again knocked on the door. The defendant opened up the lavatory door and grabbed the flight attendant?s arms and began pulling her until a male passenger intervened, saying ?Don?t touch her.? The defendant does not recall that this happened. The defendant went back inside the lavatory and closed the door. Flight attendants then notified the pilot of the defendant?s behavior. The pilot then diverted the plane and landed in Colorado Springs, Colorado. The defendant was removed from the plane by Colorado Springs police officers and held until the Federal Bureau of Investigation (FBI) arrived. The defendant denied touching any of the flight attendants. ?Sentencing demonstrates that there are serious consequences to interfering with the duties of a flight crew,? said U.S. Attorney David Gaouette. ?With assistance from our federal, state, and local partners, the FBI aggressively investigates allegations of criminal misconduct onboard aircraft, and will not tolerate any behavior which threatens the safety of the traveling public,? FBI Special Agent in Charge James Davis. ?The fact Mr. Tahir was sentenced to a period of incarceration today clearly demonstrates the seriousness of his actions on January 8, 2010.? This case was investigated by the Federal Bureau of Investigation (FBI) with substantial assistance from the Colorado Springs Police Department, the Colorado Springs Municipal Airport, the Colorado Springs Fire Department, the El Paso County Sheriff?s Office, and the Transportation Security Administration (TSA).